Poole’s RNLI lifeboat station volunteers are celebrating 150 years of saving lives at sea, with a variety of commemorative events planned throughout the year. Fundraising events kicked off at Sainsbury’s supermarkets around Poole and Bournemouth at the weekend, with the launch of a ‘design your own wellies’ competition. RNLI Poole Chairman Andy Whyte, himself a volunteer, said: “This year, as well as celebrating 150 years, we’re asking people to be part of an initiative where we’re hoping to raise £150 from 150 people, organisations or companies in order to help the lifeboat station continue into the future”. The station at Poole Quay is run on donations from the public and depends on over 80 volunteers, including 34 crew members who work on standby shifts during which they may be called upon at any time of day or night. The original Poole lifeboat station was established in Sandbanks in 1865, before moving to Fisherman’s Dock at the east end of Poole Quay in 1882 (now a museum) and finally to the present location beneath Poole Bridge in 1989. 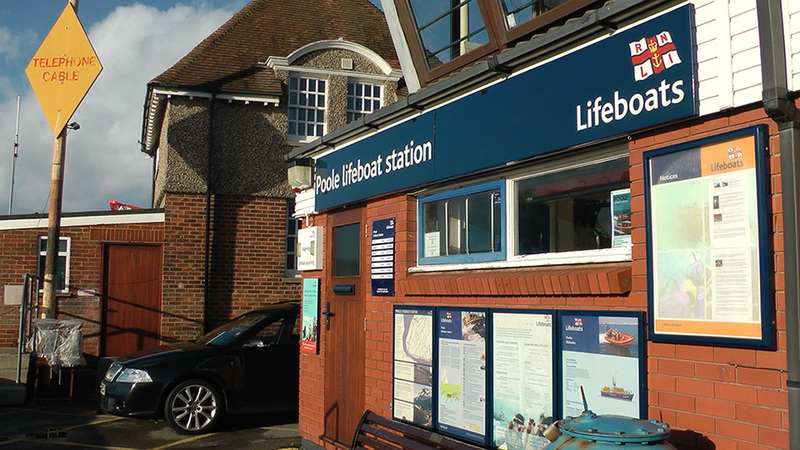 On Monday 19th January, the date the original station was founded 150 years ago, both the new and old lifeboat stations on Poole Quay will be open to the general public. Poole lifeboat station is one of the busiest in the country, with 120 rescues taking place last year and over 5,000 call-outs since operations began.